1.what is the mainidea of the article? 2. How can you discribe the presedent's power? 3.how would you explain how the president got his power? 4.What is the problem with the current president? 5.what is your opinion of the president? 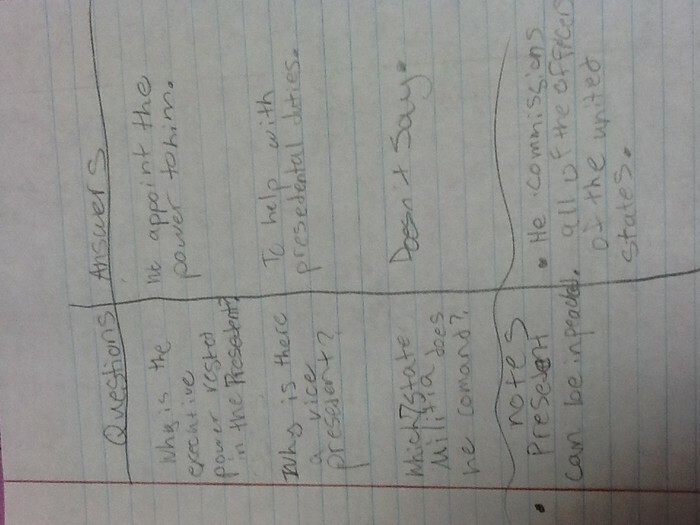 6.what do you suggest for the future presidents? 1.the main idea is that the president has a lot of power and he is still not the most powerful employee of the government. He is only part of a tree of power that has 3 branches that are even in power. 2.he is one of the three branches of power in our government. It is the only branch that has one person in the head of it. 3. The people have given him a vote and he then gets the power of the presidency passed to him. It's is how the law says he has power over so many people's lives. 4.the problem is the economy is very bad and is getting worse and he isn't doing anything about it. He is making it worse with his health care bill he wants. 5.he is not fit to be a president because of his work ethic. He spends all the money that is given to him to support us and uses it to put us into the hole even more. He also goes on vacation with some of threat money. 6.take the citizens voice into more account than some others have. Most of the recount presidents have been thinking only what will help them and not the country.